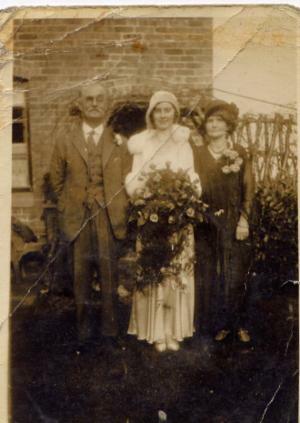 Rhoda Stonehouse, my greatgrandmother, was born to John and Mary (neé Latham) Stonehouse in Polesworth. I hope to upload some of my Stonehouse research onto this page soon. 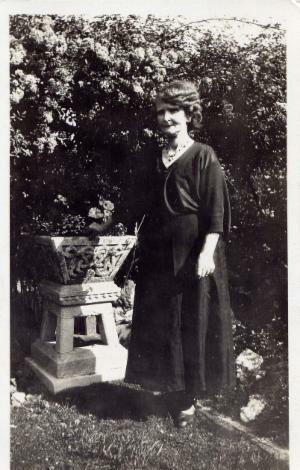 Rhoda in her garden in Glascote Heath. Notice the pieces made by Gibbs and Canning. 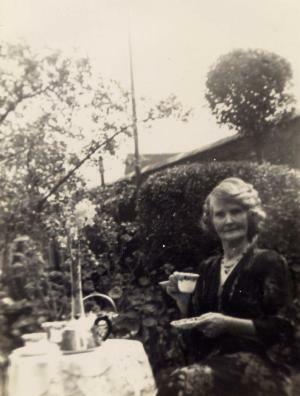 Taking tea in her garden. With her husband and daughter in Skegness. Possibly very late 1920s. 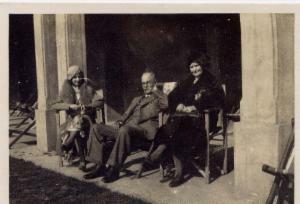 With her husband and daughter on May's Wedding Day in November 1931. If you look carefully, you will also see Rhoda on some of the group photos of the Tamworth Castle Bowling Club connected to the Hobbies Page.